Whitechapel evolved their sound to include clean vocals and more grooves, instead of relying on full-force brutality, for their last album, Mark of the Blade, but ultimately the record was a bit of a dud. 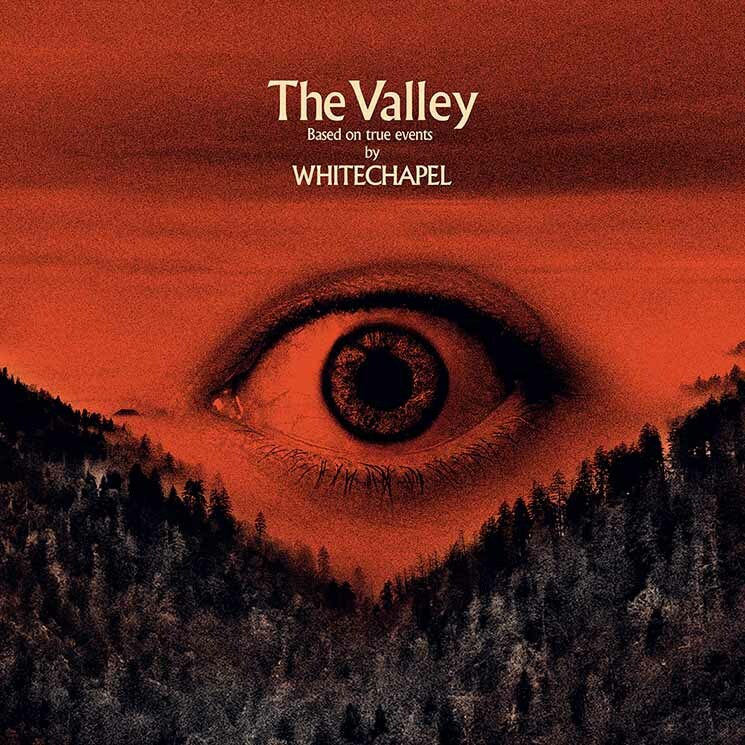 Now the deathcore pioneers have regrouped and come back with the strongest release of their career, The Valley. The record tackles the troubling childhood of vocalist Phil Bozeman through the perspectives of him as a child as well as an adult reflecting on his upbringing. The vocalist also brought in his mother's perspective through a disturbing journal he uses to drive home the impact of certain parts of the story. Where before, the band's lyrics were about hammering the hardest lines into listener's ears, they've now matured and make you consider the weight of the words. Lyrics like "He has come for the blood of my only son / I can sense his heart beat slowly fade / The sound of my voice is his way to me / I buried my tongue with my family's bones," (from "Black Bear") show more depth within the context of the dark album concept than what can be found on older songs. Instrumentally the band come out strong by showing they can bring back some of the brutality lost on previous records, while highlighting their melodic side through clean vocals and guitars. These melodic elements felt like experimentation before, but now they're fully integrated, resulting in one of the album's best tracks, "Hickory Creek," which exclusively features clean vocals. Fans of the band expecting never-ending cycles of breakdowns and blast beats won't quite get what they're looking for, but that doesn't mean those elements are not present. Tracks like "Forgiveness Is Weakness," "When a Demon Defiles a Witch" and "We Are One" are loaded with riffs that rival anything from the band's early discography, but there's also a thick groove presence felt throughout. "Black Bear" and "Brimstone" fall closer to the groove metal side, but are undeniably catchy and still heavy.